Fe & Esperanza is the community with New Song’s newest church plant. 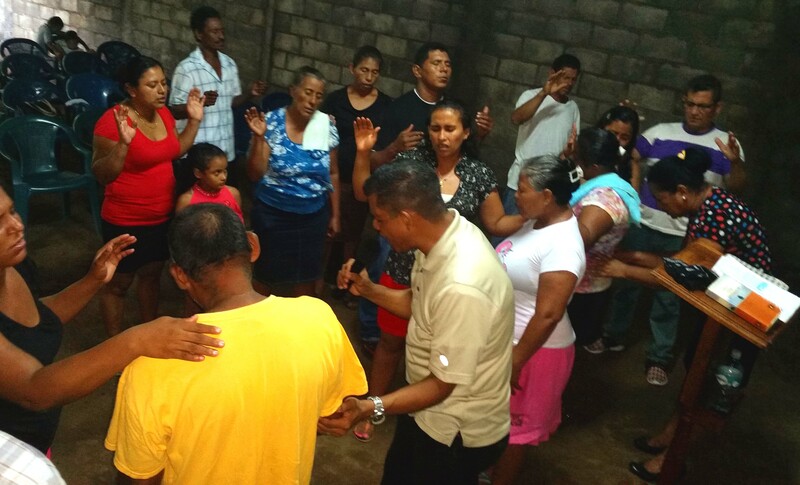 Pastor Daniel Campos felt called to visit this community in 2016 with plans to lead a bible study, and God has covered it with favor. They received church property and have been growing ever since. Fe & Esperanza means Faith and Hope, and that is exactly what is found in the church Llaves del Reino – Keys of the Kingdom. The church currently has around 40 members, and is made up mostly of married couples. It is the church with the most marriages and full families within New Song’s ministry. The church has three services weekly at their property, as well as two days a week in the community outside of their building. They are seeing growth through their dedication to visitation, prayer, and evangelism in the Faith & Hope and the Valley communities. Meet Pastor Daniel (and his family) who leads this church. Fe & Esperanza Campaign to partner with this congregation.